A favorite of Asian chefs. A compact variety that produces 3-5” lime-green, slightly wrinkled fruit — ideal for tempura, stir-fries and other traditional Asian recipes. Roasted/blackened shishitos are one of this year’s hottest food trends! This is a glossy, thin-walled sweet pepper, usually used green because of its herbaceous, clean taste. Plant leaves may wilt in very hot sun; take care not to mistake this for thirstiness and overwater the plant. Days to germinate: 7-10 days. A heat mat and bright light greatly assist germination. Photo courtesy of Baker Creek Heirloom Seed. 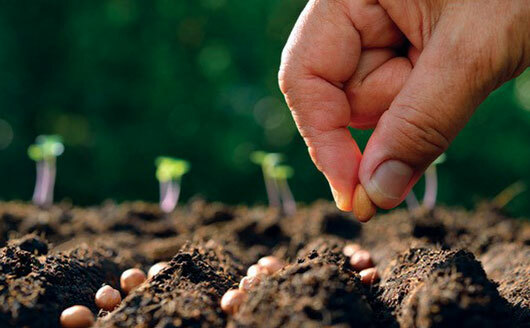 Sow outdoors: Not recommended unless the soil warms early in your area. I wanted to try them and see what all the fuss is about. If they're as tasty as stated, then I will have the seeds for the future. Is not sold in stores. Must buy online. Free shipping. Great tasting pepper, raw or grilled. Fun to grow! These seeds germinated quickly, and are now up and growing into little pepper babies. The seeds were easy to order off of the Internet. They arrived within a very few days. Would order from this company again. The free shipping was a nice side benefit.